Successful restaurateurs have one thing in common - passion. Keep your passion alive by minimizing time and money spent on tedious tasks and improving your effectiveness at communicating goals to your team. Provide us with your name and contact info and we’ll be in touch to schedule a demonstration. 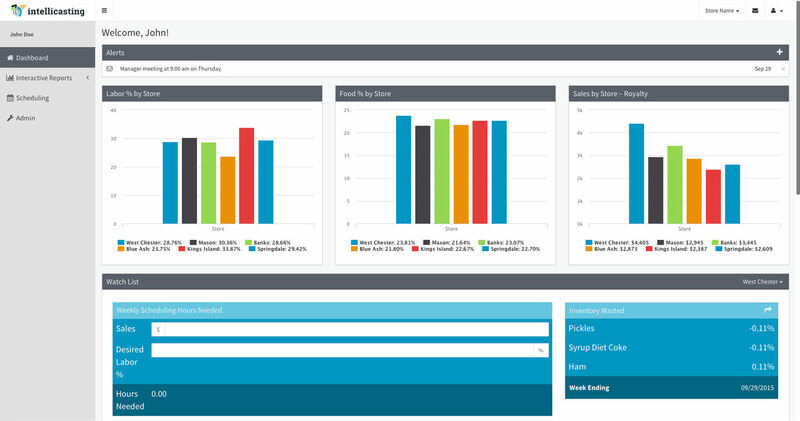 Intelligent forecasting suite for optimized restaurant performance. 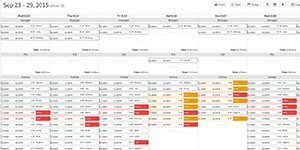 Forecast your restaurant’s financial data including Sales, Labor, Cash Flow, Net Profit and Break Even Point. Intellicasting includes interactive Income Statement Reports allowing you to easily look at what-if scenarios and see the forecasted results. 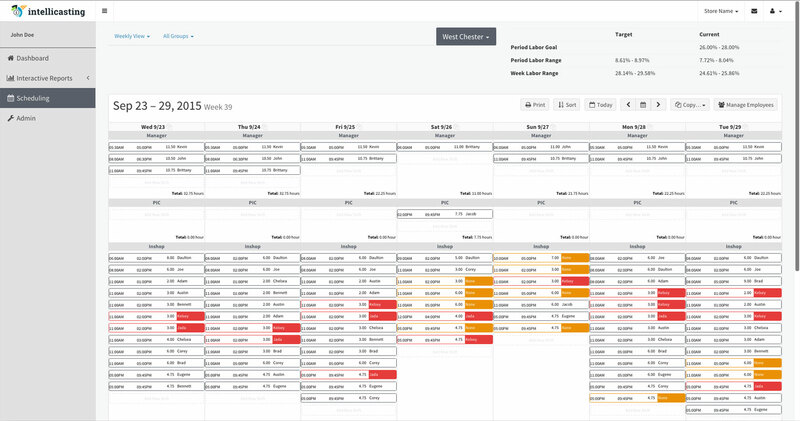 Let Intellicasting forecast for you so you can save time, focus on restaurant operations, and add to your bottom line. Schedule your employees based upon business demand and eliminate the use of time consuming spreadsheets to create weekly schedules. 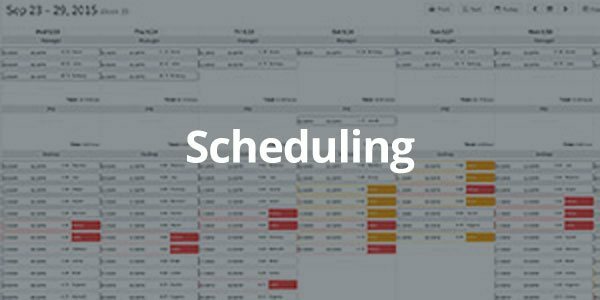 With Intellicasting, it’s easy to see projected Labor Goals and employee counts for key time frames to better communicate scheduling needs. Save time and up to 1% or more on labor costs. Manage your fleet of delivery vehicles by using Intellicasting to calculate and record mileage reimbursement rates for each of your drivers and restaurant locations. Intellicasting helps to ensure that proper mileage reimbursement rates are being calculated so you can properly reimburse delivery drivers for the use of their vehicles. 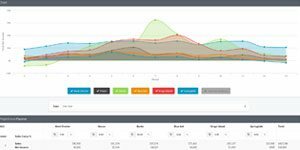 Set financial goals for Labor, Sales and Costs of Goods Sold and easily track your restaurant performance. By setting and tracking goals for your restaurants, you can provide performance feedback to your management staff and help maximize profits. 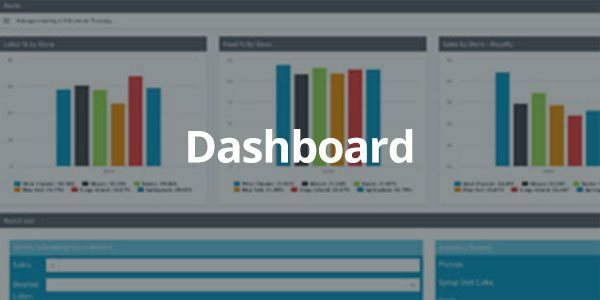 Find all of your important restaurant financial information in one convenient dashboard. 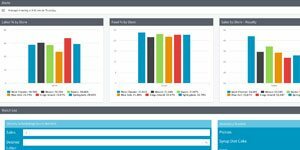 Multi-unit operators can easily monitor restaurant performance while having a better communication platform to share information across multiple restaurants. 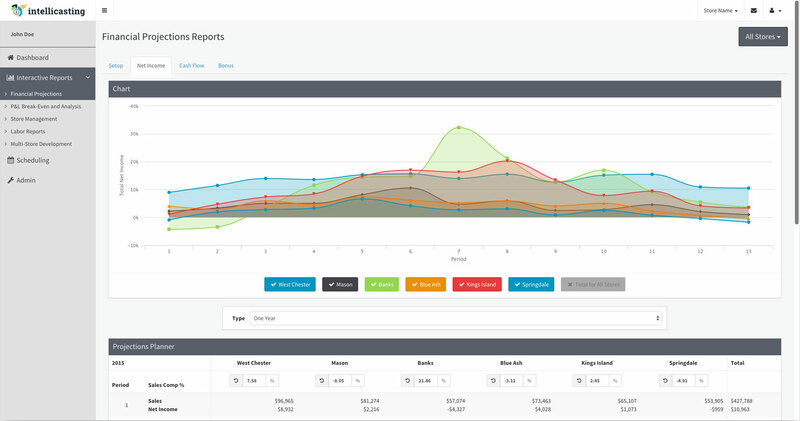 Analyze your inventory levels and usage to better control your inventory costs. Intellicasting will help you to determine proper order quantities, analyze your inventory and identify areas of concern to help lower food costs and increase profitability. The founder and CEO of Intellicasting, Brian Schaaf, has spent over 15 years in the restaurant industry and is a multi-unit restaurant owner. Early in his restaurant ownership career, he developed many Excel spreadsheets to help make the job of operating his restaurants more efficient. Over time many other restaurant owners started purchasing the spreadsheets he had developed. Though the spreadsheets served their purpose, Brian thought there could be a better way to offer the product to restaurant owners. This desire gave birth to Intellicasting. 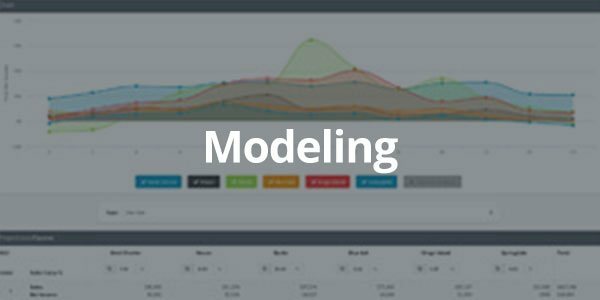 Intellicasting is a web-based service that helps control inventory, plan labor, analyze sales, and forecast key financial data. Intellicasting eliminates the need for Excel spreadsheets and offers interactive tools that improve the way you manage your restaurant. We believe this will help to save you time and money so that you can focus on what is important in your life. Time is now on your side. Owning and operating a restaurant should be financially rewarding. Most current restaurants are not optimized for maximum profitability. Restaurant owners and managers should spend more time running their restaurant instead of letting their restaurant run them. The restaurant should provide financial independence for its owners, and allow owners to spend more time on things that are important in our lives. While operating a restaurant may be our passion, it is a means to an end.